We are so excited for the Wilkes Barre Cannabis Reform Rally. 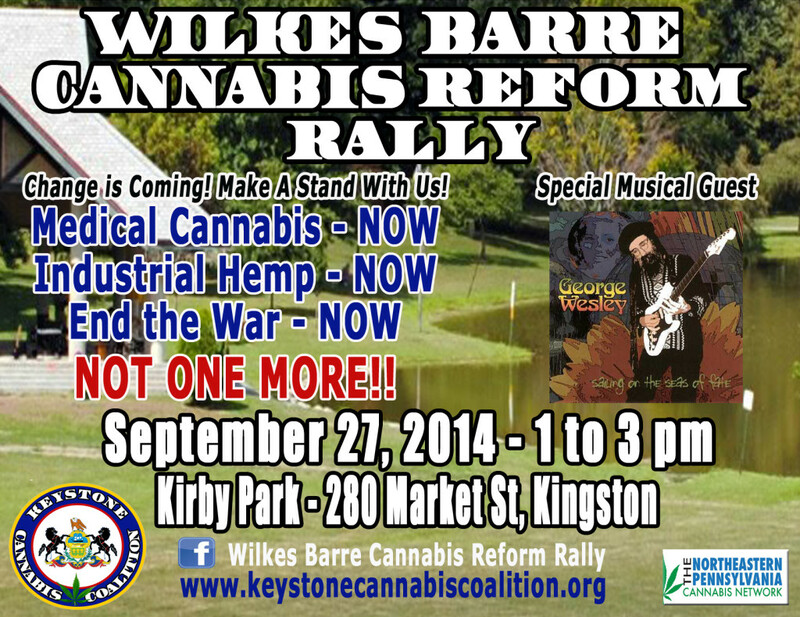 This past Sunday, Erica and I from the Keystone Cannabis Coalition met up with Jesse Nova of the Northeastern Pennsylvania Cannabis Network at the site of the rally in Kirby Park. It’s a beautiful location and it will make for some positive vibrations. We have some cool entertainment. George Wesley will be laying down some reggae vibes. He’s coming on right at 1:00 so make sure you are on time. Then after that we are going to hear from some good speakers. 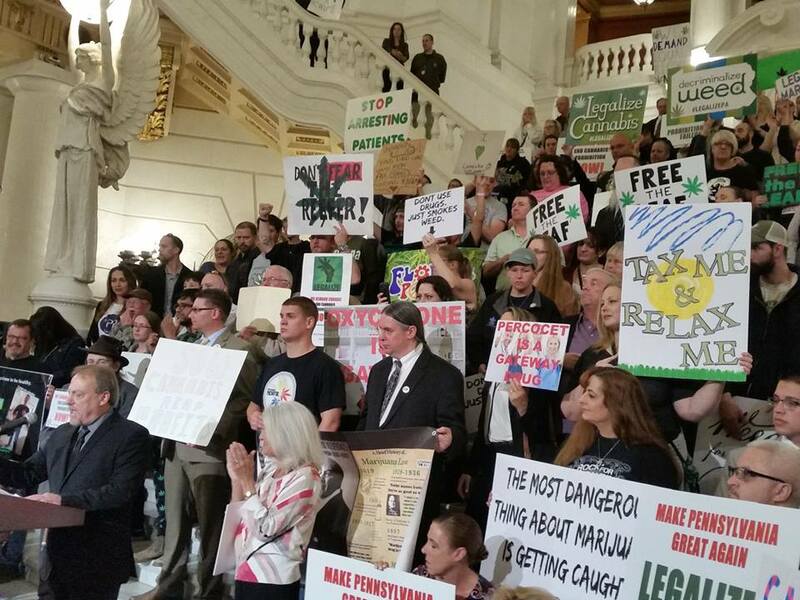 We have medical cannabis advocates who are going to tell their personal stories and why they support medical cannabis in Pa. We are going to discuss all aspects of the much needed cannabis and hemp reform in this state. If there is enough interest we may have a picnic after the rally. We are definitely going to have a good time. If it rains, absolutely no biggie because we’ve got the pavilion. The park is so beautiful and laid back that my only concern is that it’s hard for me to maintain my righteous anger in an environment. I guess I’ll have to be more laid back for this one haha. Make no mistake though, in between the fun and good times you are going to hear a little passion, I’m sure. The rally is going to get the word out to a lot of people. The people of Wilkes Barre and all throughout Pennsylvania are ready for a change. Why should our farmers miss out on the exciting new agricultural revolution of industrial hemp? Why should sick and suffering people be deprived of medical cannabis that more than 1 1/2 million people currently use in 23 different states? Why should one more person go to jail for a plant that we should clearly legalize, tax and regulate? Something beautiful is happening in Pennsylvania and all of us get to be a part of it. It is the unfolding of a real movement that is becoming a political force to be reckoned with. We have the power within us to not only change Pennsylvania but the world. We are the Keystone State. Take out the keystone and everything falls. When we change the Keystone State the national prohibition of cannabis and hemp will fall faster than the Berlin Wall. Can’t wait to see everyone there. I hope you are as excited as Erica, Jesse and I are about it. Share the news, the event and meme with everyone you know. We have a month to get the word out and we expect a good turnout and positive media coverage. IT’S TIME TO TAKE A STAND WILKES BARRE! CHANGE IS COMING TO PENNSYLVANIA!